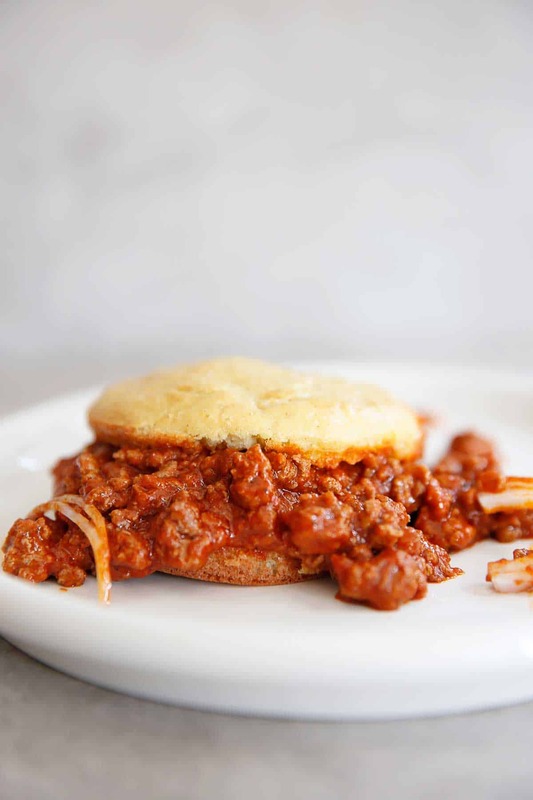 I have this thing with sloppy joes. I’ve always just LOVED them. It’s a unique take on flavor, plus it’s messy. When the bread gets soggy from the sauce… perfection! This is some seriously delicious comfort food, and a family favorite! Serve them on top of my paleo rolls for a deliciously satisfying meal. I love how easily these come together! Just twenty minutes, one-pan and BOOM. Comfort food perfection. I love topping these with jalapeños, roughly chopped lettuce, sliced red onion and tomatoes but these are delicious all on their own as well! Disclosure: This is a sponsored post with Muir Glen Organic Tomatoes. I was compensated for the time spent developing this recipe. All opinions expressed on Lexi’s Clean Kitchen are always my own. My sponsors help make this blog possible! Heat oil in a medium skillet over medium-high heat. Add garlic and sauté for one minute. Add in ground beef and let cook until brown and no pink remains. Add in tomato sauce, white vinegar, yellow or dijon mustard, and spices. Mix well to combine. Add in arrowroot and mix well. Reduce heat and let simmer for 10-15 minutes, or until thick. I am seriously in AWE of you. I haven’t eaten a sloppy joe since I learned about healthy food..but I lurve them. So, these? I lurve you. Pinned! Thanks Taylor!!! Sometimes you just need MESSY! 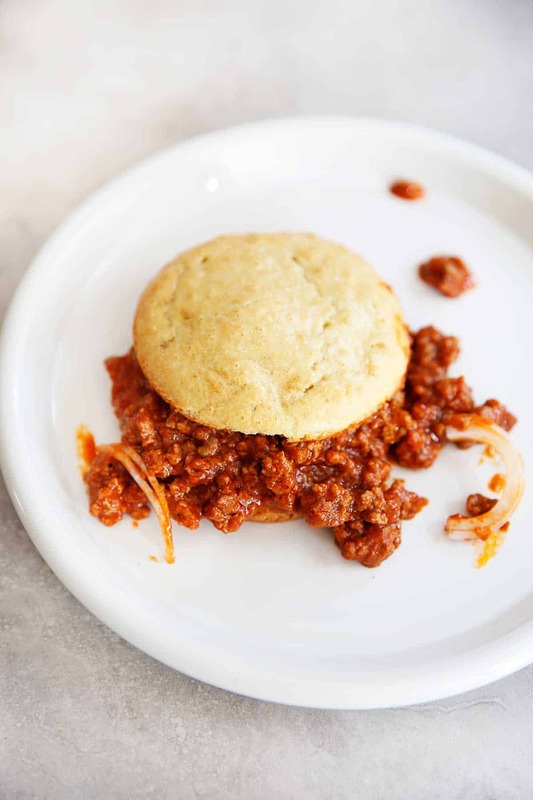 Some days you just gotta get down and messy and enjoy a sloppy joe! Delish! Love al the saucy goodness! These look fabulous! This came out SO good! 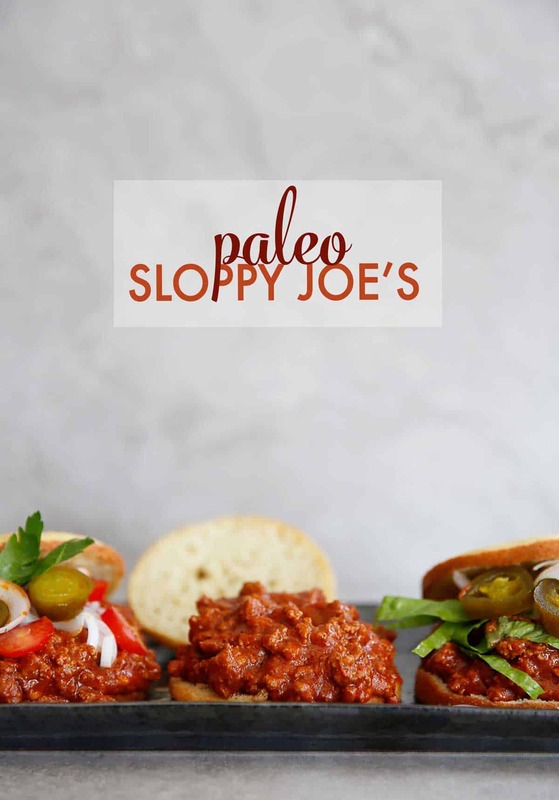 I LOVE sloppy joes and haven’t had it in a while. I made this for dinner last night, and there were no leftovers. DELICIOUS! What size can of tomato sauce is used? Thanks! Hi there…do you mean yellow/dijon mustard or ground mustard (spice)? I had the same question! I am glad I am not the only one. It’s been far too long since I’ve made sloppy Joes, and these ones look fantastic! My family would be so happy if I made this tonight. Made this last night – IT WAS SO GOOD!!!! I am not a baker and was concerned the bread would not come out right, but they did. I made them in muffin pans and split them open. Served open faced. Glad I doubled the batch of everything. What kind of mustard did you use? Yellow, Dijon, dried..? Yellow mustard or any you have on hand in the fridge will work! 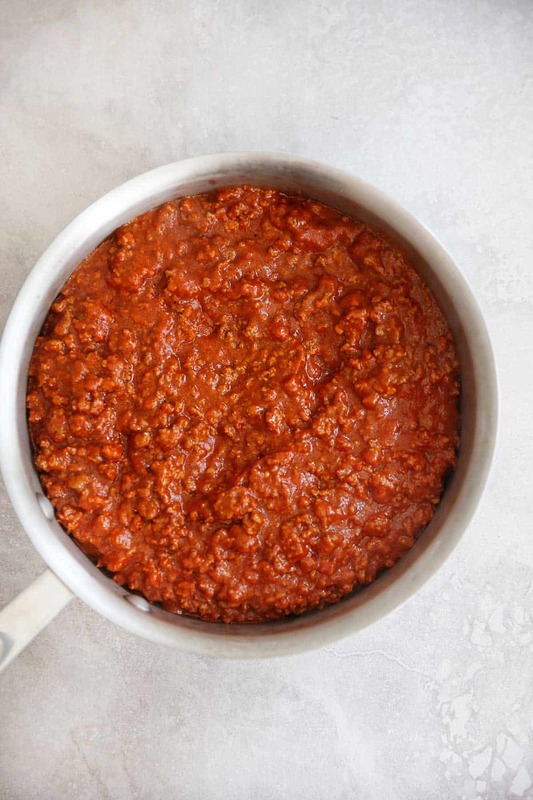 My husband loves sloppy joes…using the can stuff, yuck! So since I have jumped back on the Paleo band wagon, I wanted to give this a go and see how he liked it, he LOVED it! I did add squirt or two of honey. Served them on your http://www.paleocupboard.com/dinner-muffins.html, yum! This is our go-to family dinner because it’s easy, delicious, and kid approved by a VERY picky kid! wow!! so good and so easy!! thank you!!! How important is the arrowroot? I don’t have any – can I leave it out? Thanks! It definitely adds to the consistency of the dish! Thanks! I’ll wait till I can get to the store before making then. Do you drain the fat from the meat?